Ms. Vixen isn't here to be polite or play around with womanism. We truly believe Black women, femmes and folx impacted by misogynoir are the standard and not the exception! We’re here to deliver incisive, witty, lit womanist perspectives on pop culture, media, and politics, things usually stolen from us for the mainstream to profit off of. Knowing this, we’re not compromising when it comes to how we’re funded. We believe that our financial and editorial independence are intrinsically tied, and any media outlet that denies the connection is lying to you and itself. Down with that? 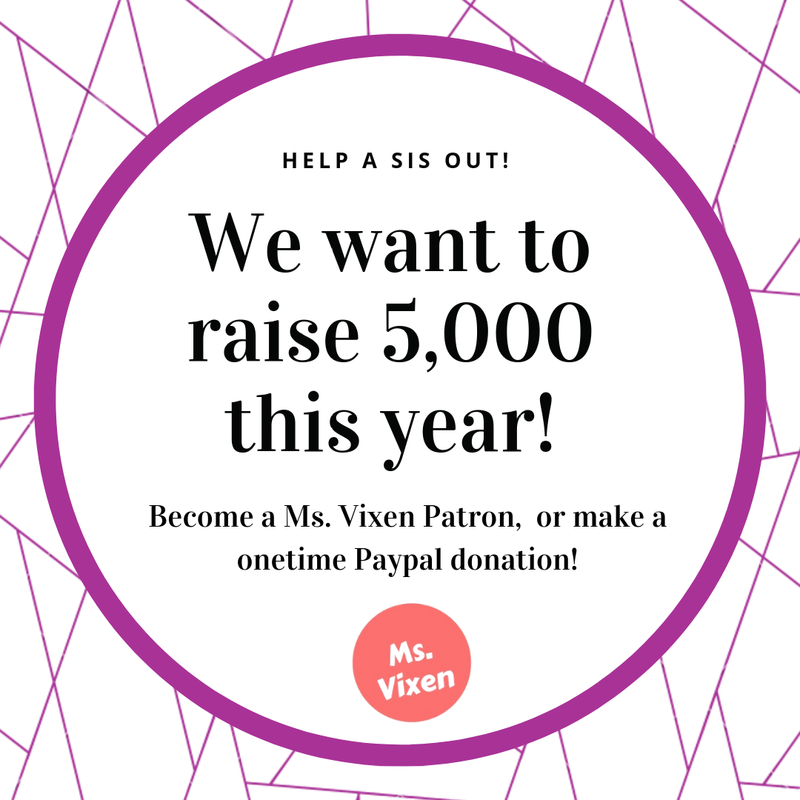 Donate to Ms. Vixen and let's make this change together! Make a secure one-time donation with paypal! 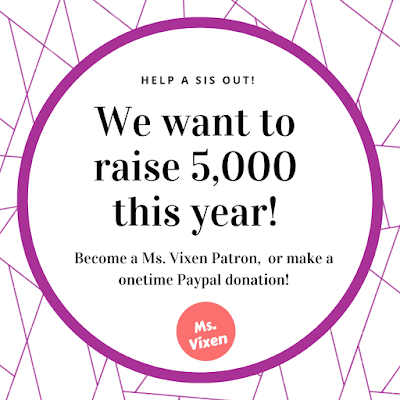 Make a monthly donation and get special perks, like first listens of our podcast, discounts to Ms. Vixen IRL events and more! Make a purchase at the Ms. Vixen Mart!